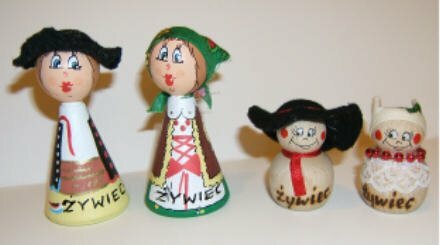 These dolls are from Zywiec, Poland. They have funny faces, and wear traditional costumes from that region. The man an boy wear wide brim, floppy hats, and the woman and girl wear peasant scarves. The dolls came from a trip to a beer brewery in that city.